The Language Settings tab found under “Settings” allows you to edit some of the phrases that have been hard-coded into the app that our translation feature is unable to translate automatically. If you are building your app in a language other than English, feel free to use this feature to manually translate these phrases. 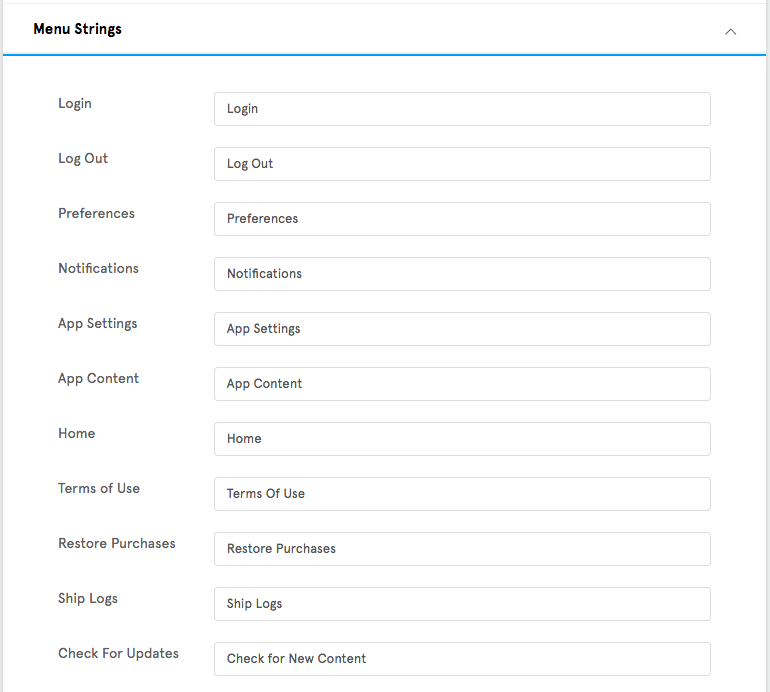 You can also use the App Settings as a branding opportunity! Feel free to change up any of the phrases found here to better represent your app’s brand and voice. What are the different sections of the Language Settings? Let’s go through the different sections of the Language Settings. If you ever want to change the phrases back to the original default ones, we have included them next to each line for you. Make sure you click “Save” for your changes to take effect! 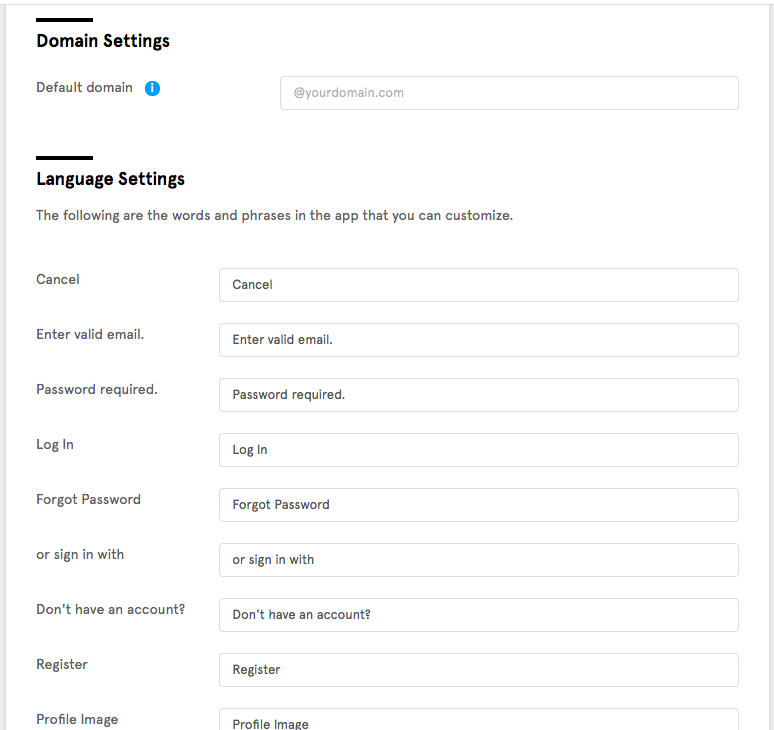 The Login section allows you to edit phrases and messages found when the users of your app login into their in-app profiles as well as Register a new one if they don’t already have an in-app profile. 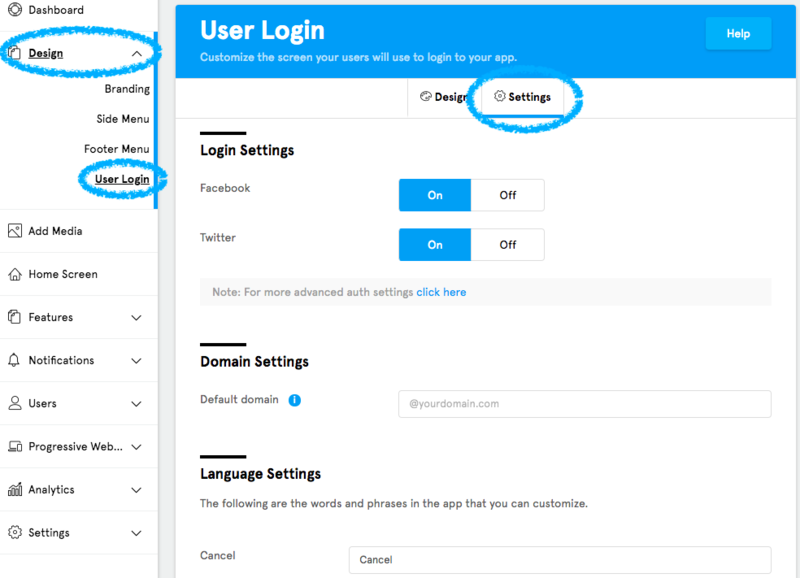 Or by clicking on Design -> User Login then clicking the “Settings” tab. 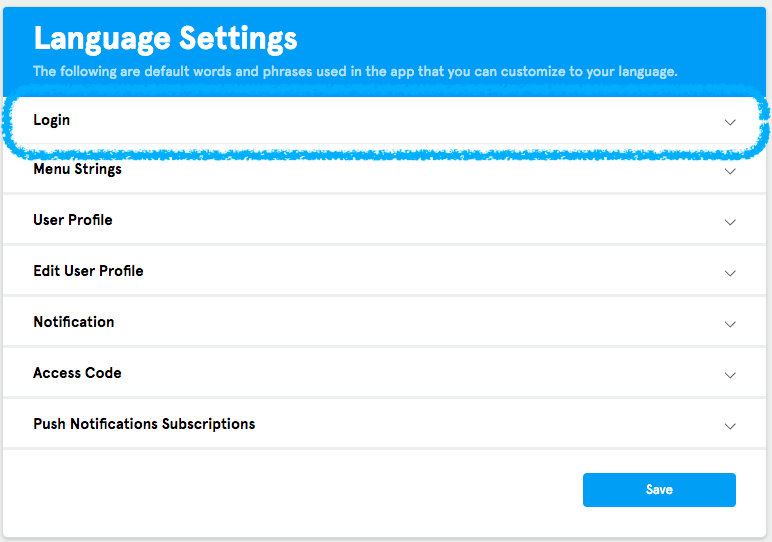 You will find the Language Settings under “Domain Settings”. The Menu Strings section allows you to edit the phrases for the links that display in the side-menu. 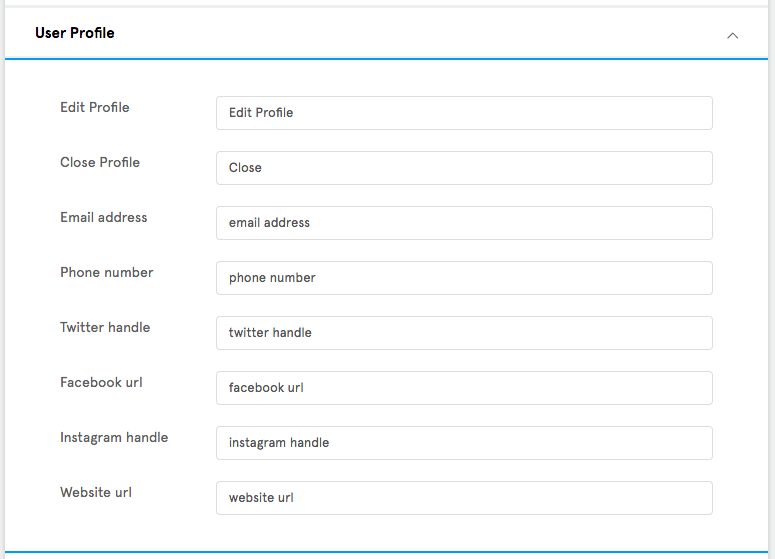 The User Profile section allows you to edit phrases found in the user’s in-app profile. 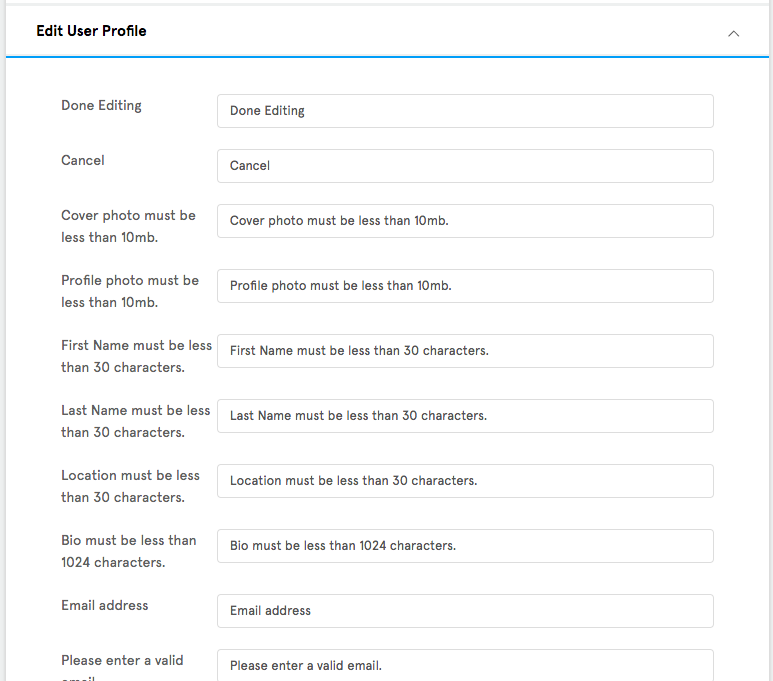 The Edit User Profile section allows you to edit messages that appear to users when they are editing sections of their in-app profile. 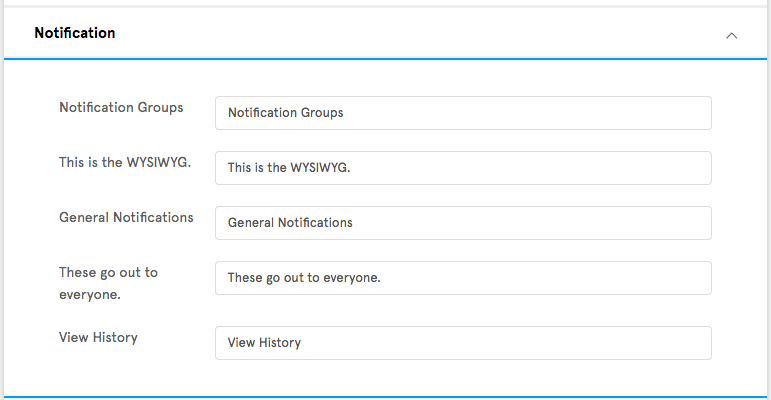 The Notification section allows you to edit phrases and messages found in the “Notification” section of the side-menu. 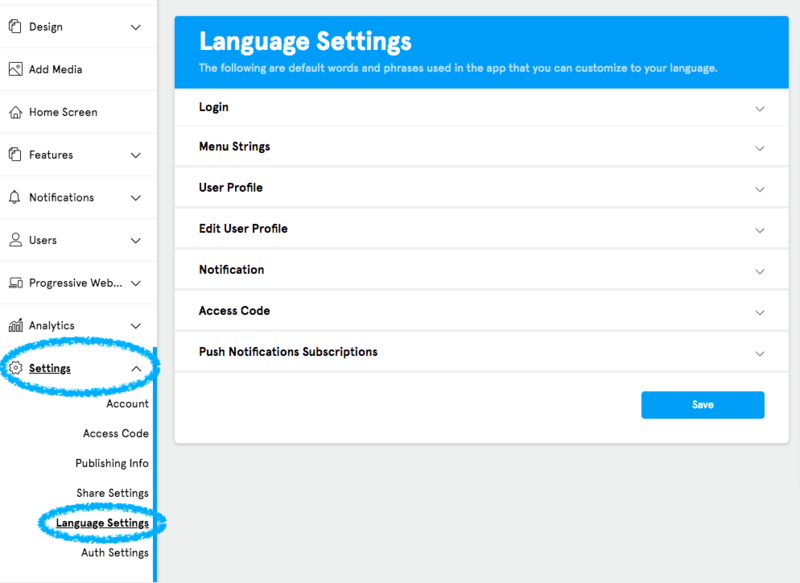 The Access Code section allows you to edit phrases and messages found in the Access Code screen if you have it enabled in your app. 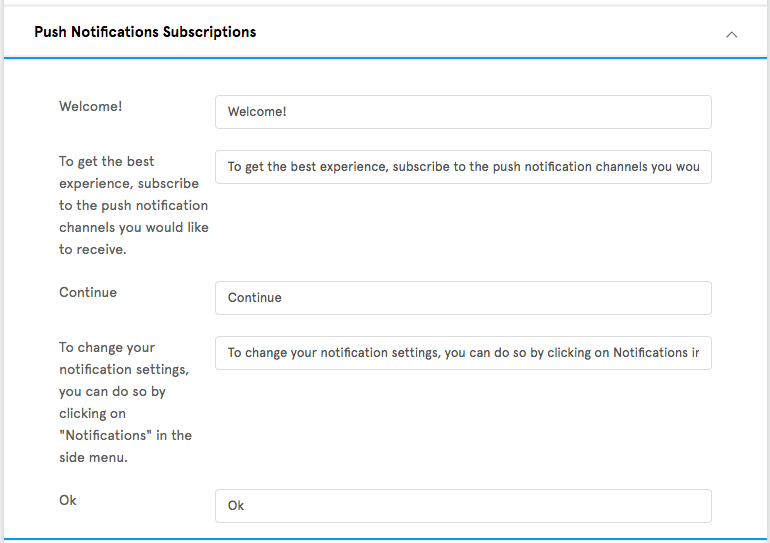 The Push Notification Subscriptions section allows you to edit phrases and messages that appear when people open up the app for the first time. This section will only appear if you have Push Notification Groups set up for your app. Once you are done making the desired changes, make sure you click the “Save” button at the bottom of the page for them to take effect. What is a Pro Tip you should know about the Language Settings? Having worked with apps for years, we’ve learned a thing or two. 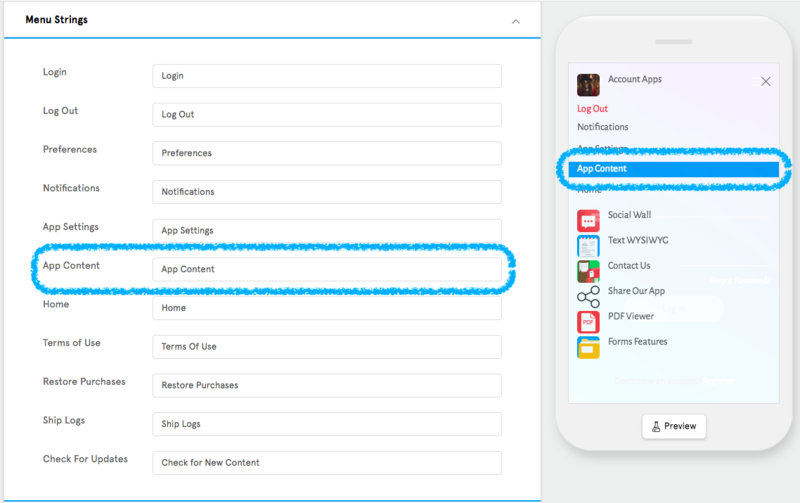 So, to both help your app stand out and accomplish your primary goals, here’s a tip you should consider. 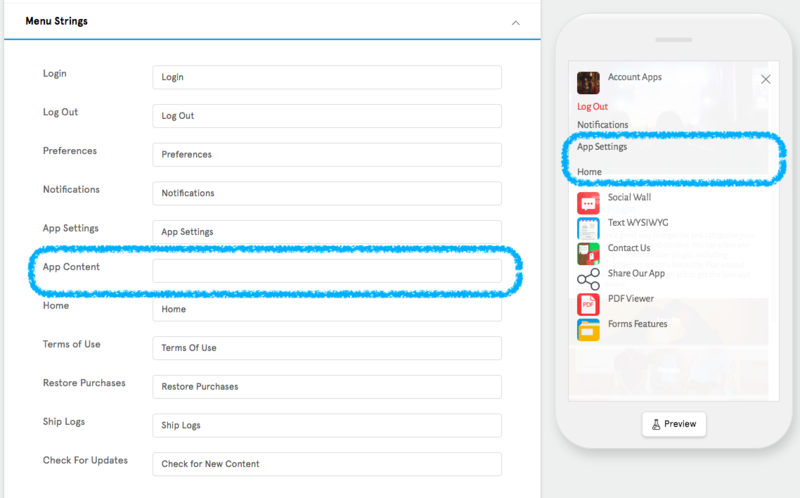 Note: While you can hide them and adjust their wording, we strongly recommend that you leave the main links (such as Login, Notifications, and App Settings) displayed for ease of navigation around the app.